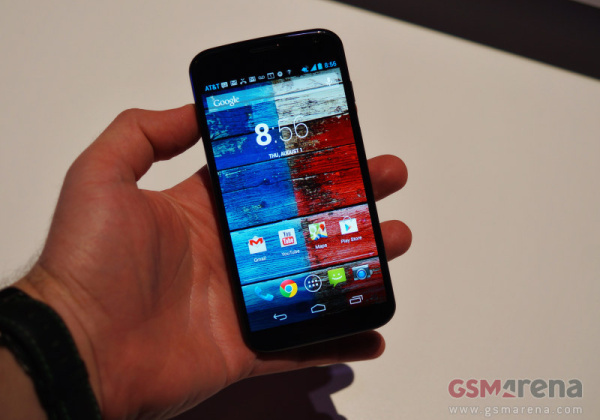 Motorola Moto X was unveiled yesterday and the smartphone will soon be available from the top 5 carriers in the USA. The 16 GB variant of the Moto X is priced at $200 and the 32 GB unit costs you $250 with a two-year contract. At the announcement event Motorola did not announce the pricing details of the SIM-free editions, but they are no longer a mystery as AT&T has confirmed the pricing of the device without a contract. At launch, the 16 GB model of the Moto X will cost you $575, while the 32 GB is priced at $629. Google has announced that the Moto X will be available from the Play Store as well, where it will latter be joined by a Google Play Edition version. However, the pricing details for that one are not out yet. We spend some quality time with the smartphone and have prepared an extensive hands-on article for you to check out. You can find lots of live images, benchmarks and our first-hand impression over here. u must belong to Steve Job's family to say that...oh wait, iPhones are built and assembled in China..